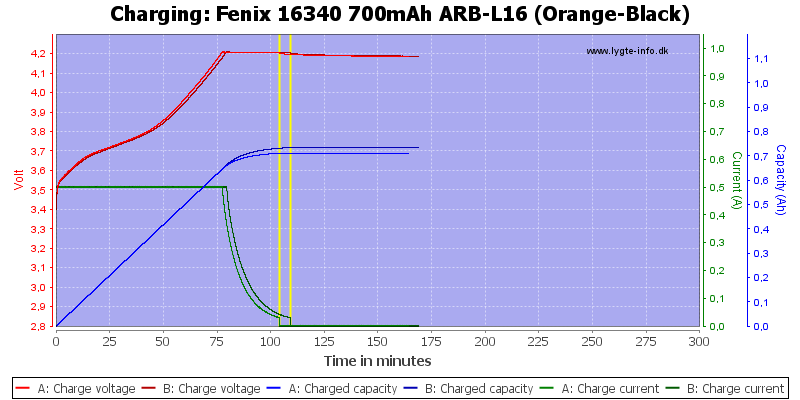 Charge current: 350mA (Max. 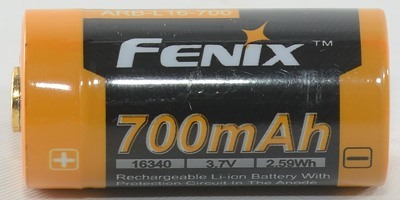 700mA). 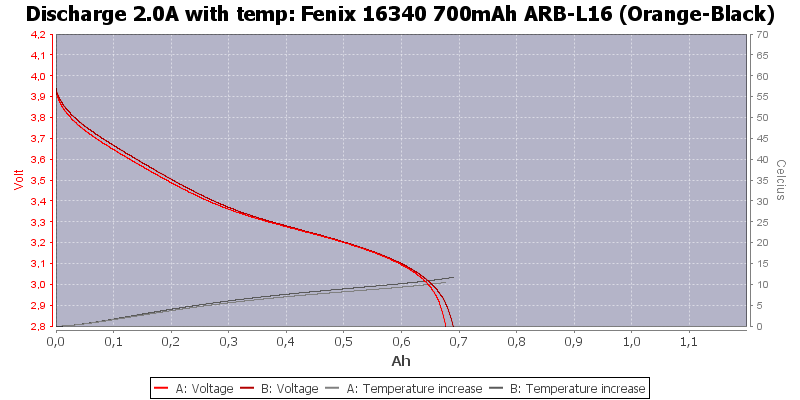 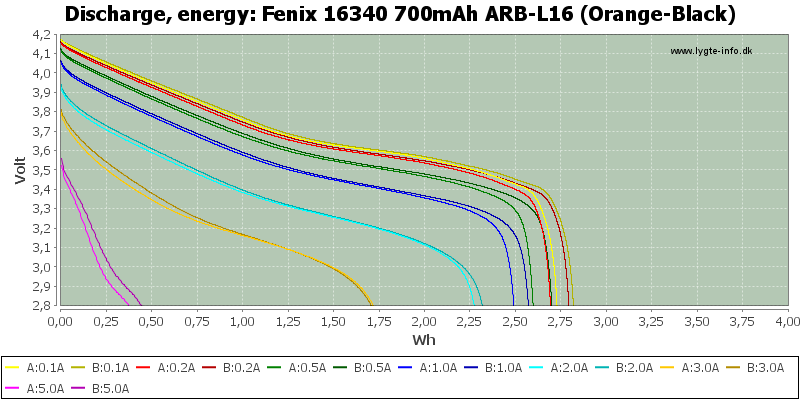 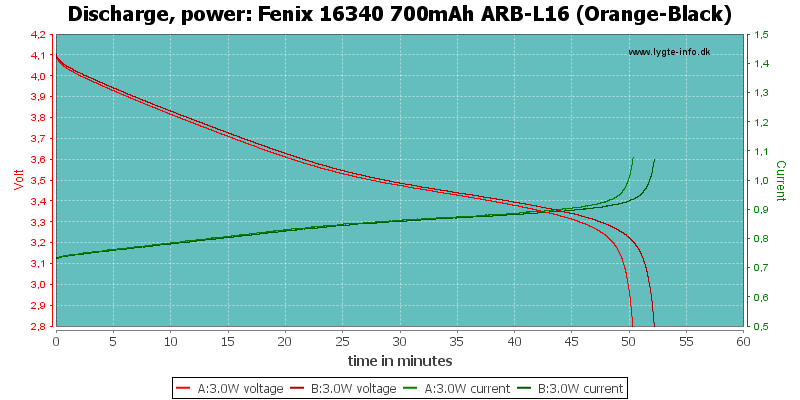 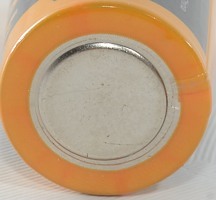 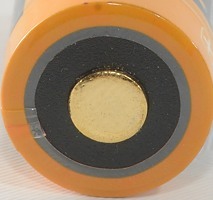 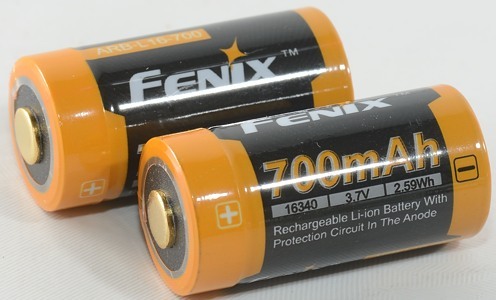 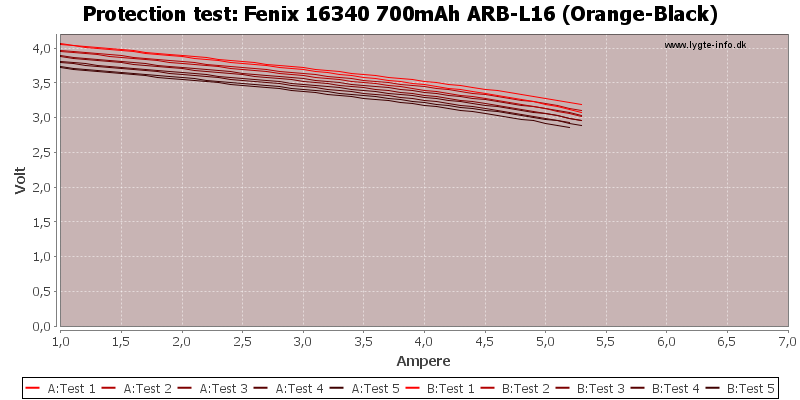 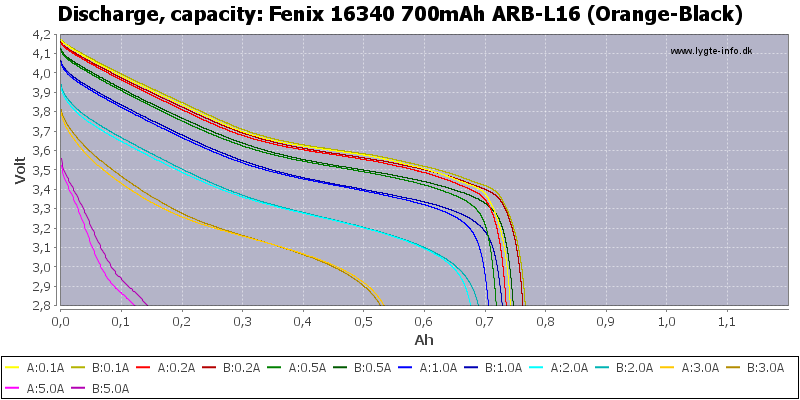 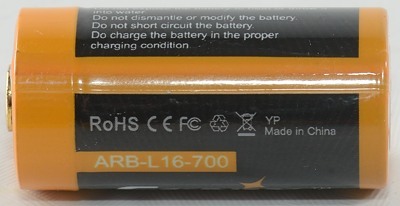 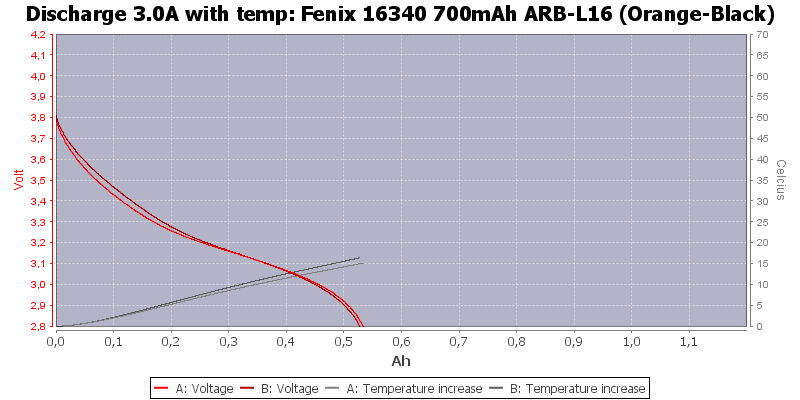 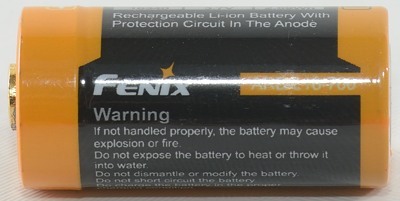 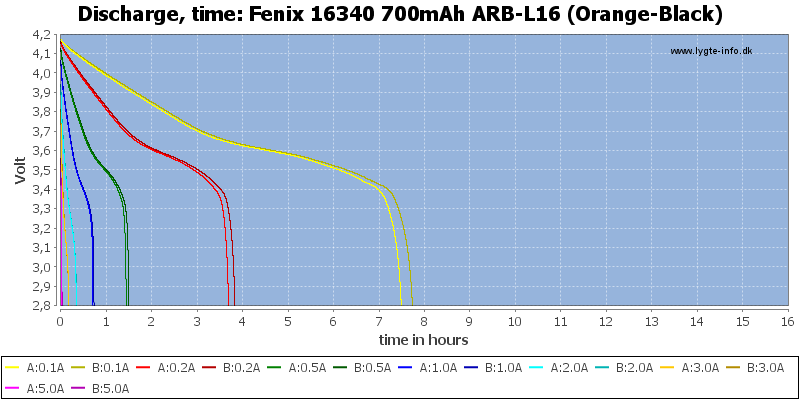 A RCR123 high capacity battery from Fenix with protection at the plus pole. 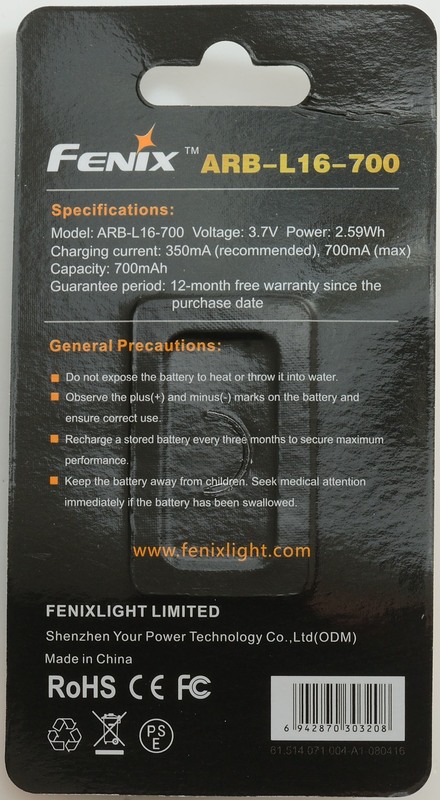 The cell can deliver about 2A before it starts to loos capacity, this matches fine with a 1.4A rating. 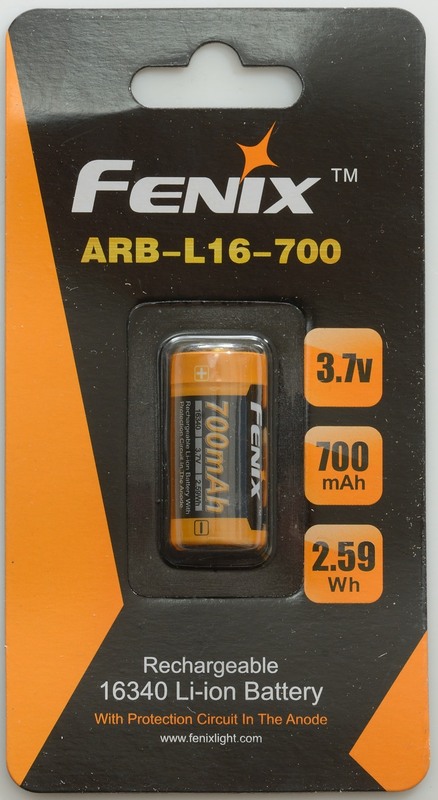 For high capacity 16340 batteries these looks good and they are very short for protected batteries.